Viewing the Island of Inis Tuaisceart, (Sleeping Giant) with a wild and stormy sea at Clogher Beach, Dingle Peninsula. Unframed, for easy posting. Framing available. Prints may be available. Please enquire. Free postage to Irish addresses, including Northern Ireland. 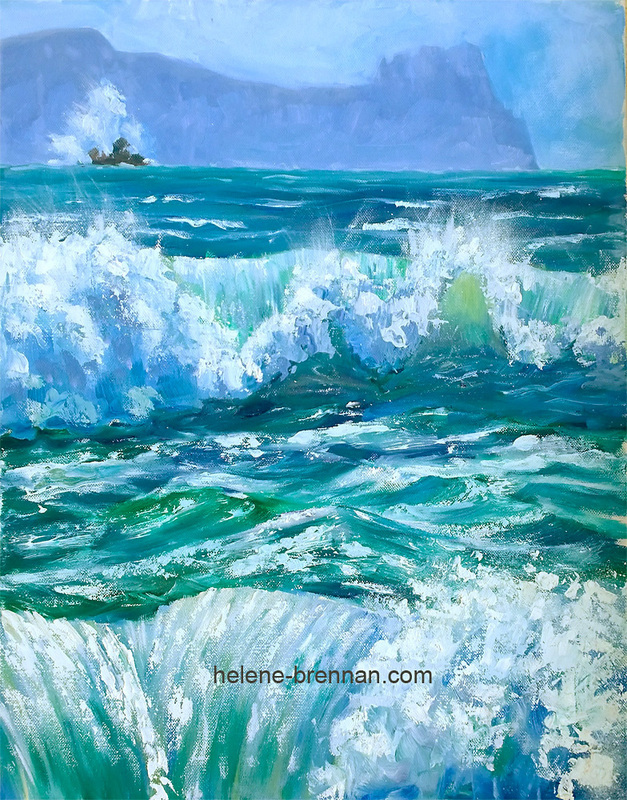 Can be viewed in my studio gallery near Ballyferriter, just off the Slea Head scenic drive.